Beirut (Lebanon) – January 18, 2018 (travelindex.com) – Minor Hotels, a hotel owner, operator and investor, currently with a portfolio of 158 hotels and resorts in 25 countries across Asia Pacific, the Middle East, Europe, South America, Africa and the Indian Ocean, will debut its Oaks brand in Lebanon later this year. The group is pleased to announce it has signed a management agreement with Allied Investment Group to operate Oaks Beirut. 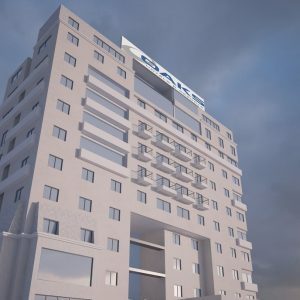 Scheduled to launch in mid 2018, the 110-key hotel will be located in Sodeco, a commercial area of Beirut, approximately five minutes’ drive from the vibrant central downtown area and 15 minutes from Beirut Rafic Hariri International Airport. Previously operating as Hotel de Ville Beirut, the hotel is currently closed for a full refurbishment and will relaunch as Oaks. To book your Oaks, Anantara, Avani and Tivoli Hotels in Lebanon, Beirut and around the world at best rates available. Pay at the hotel. Book now at HotelWorlds.com! Bringing Oaks’ smart simplicity to a new destination, the property will provide modern accommodation with a selection of guest rooms and suites, with facilities including an all-day dining restaurant, a Lounge Bar & café, a rooftop pool and bar, plus dedicated conference facilities. Providing the luxury of space, Oaks Hotels & Resorts offers a range of contemporary accommodation, from hotel and resort rooms and suites, to furnished serviced apartments, in central city locations and resort destinations. The brand’s growing portfolio currently comprises 56 properties across five countries – Australia, New Zealand, Thailand, India and the United Arab Emirates, with more than 6,000 guest rooms under its management. Minor Hotels currently operates two Oaks properties in the United Arab Emirates – the 165-room Oaks Liwa Heights in Dubai and the 54-room Oaks Liwa Executive Suites in Abu Dhabi. In total across the Middle East region Minor Hotels operates 13 properties across four of its brands – Anantara, AVANI, Tivoli and Oaks – and has a further strong pipeline in the region across these four brands. Minor Hotels is an international hotel owner, operator and investor currently with 158 hotels in operation. Minor Hotels passionately explores new possibilities in hospitality with a diverse portfolio of properties designed intelligently to appeal to different kinds of travellers, serving new passions as well as personal needs. Through our Anantara, AVANI, Oaks, Elewana, Tivoli, Four Seasons, St. Regis, Marriott and Minor International properties, Minor Hotels operates in 25 countries across Asia Pacific, the Middle East, Africa, the Indian Ocean, Europe and South America. Oaks Hotels & Resorts is one of Australia’s largest self-contained, accommodation providers, currently incorporating a portfolio of 56 properties spanning Queensland, New South Wales, Victoria, South and Western Australia as well as New Zealand, Thailand, India and the United Arab Emirates.